Based year-round in Canmore, we are able to provide you the best rates on hotels, apartments and bed and breakfasts in Canmore. Opposite are our featured Canmore accommodations. Click on any of the Canmore accommodation names for more information. Contact us with your preferences and we would be happy to find something suitable as not all of our Canmore accommodations are listed here. There are no ski shuttles to the ski resorts from Canmore so you must have a car rental when staying in Canmore, if you intend to ski or snowboard. 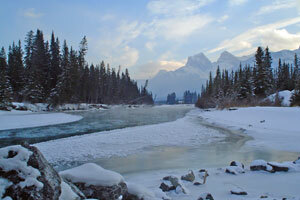 If you are not confident driving in winter conditions, then consider Banff as an alternative. Canmore accommodation rates are therefore typically less than Banff.